Looking northeast. The British Properties in West Vancouver climb the slopes of Hollyburn Mountain above the highway to the left. Grouse Mountain rises from the upper middle. 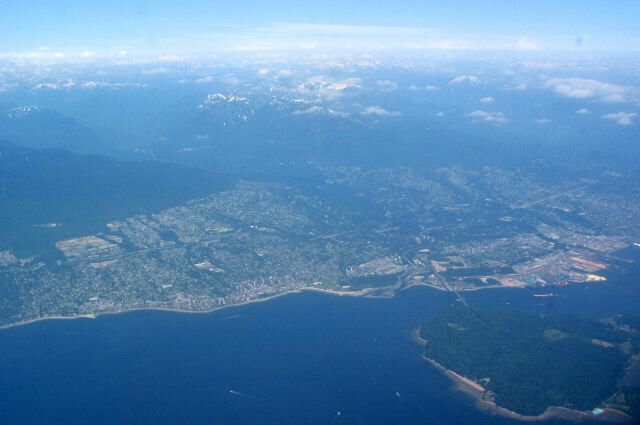 North Vancouver stretches east from the Lions Gate Bridge.